The 3rd Jerusalem Biennale2017 Watershed has a couple of meanings and interpretations that the artists had to navigate from a geological view point to a more metaphorical preception. Ultimately, Watershed is also meant to represent a moment of important change. The 3rd Jerusalem Biennale for Contemporary Jewish Art, showcased the work of nearly 200 professional artists, Israeli and international, in dozens of exhibitions and installations in eight venues around the city, running from October 1 through November 16. The Jerusalem Biennale, which explores the places where contemporary art intersects with the Jewish world of content, took on the concept of Watershed as its theme. Biennale2017 exhibition venues include the Tower of David Museum; the Bible Lands Museum; the Polonsky Building at the Van Leer Institute, the Austrian Hospice in the Old City, Beit Hasid on Emek Refaim, the Bezeq building on Chopin Street, the Skirball Museum at the Hebrew Union College and the Museum of Underground Prisoners in the Russian Compound. 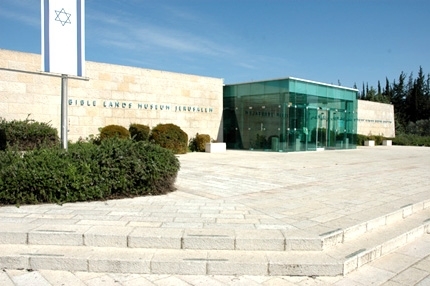 The Jerusalem Biennale supported by The Leichtag Foundation (San Diego), The Laurie M. Tisch Illumination Fund (New York), The Lambert Family Foundation (New York), Matthew Bronfman and IKEA Israel, The Leir Charitable Foundations and private donors, as well as The Jerusalem Municipality and The Jerusalem Development Authority.